These days you really don't have to splash the cash to get good makeup. Drugstore brands are releasing more and more products that rival and sometimes even trump their pricier contenders. 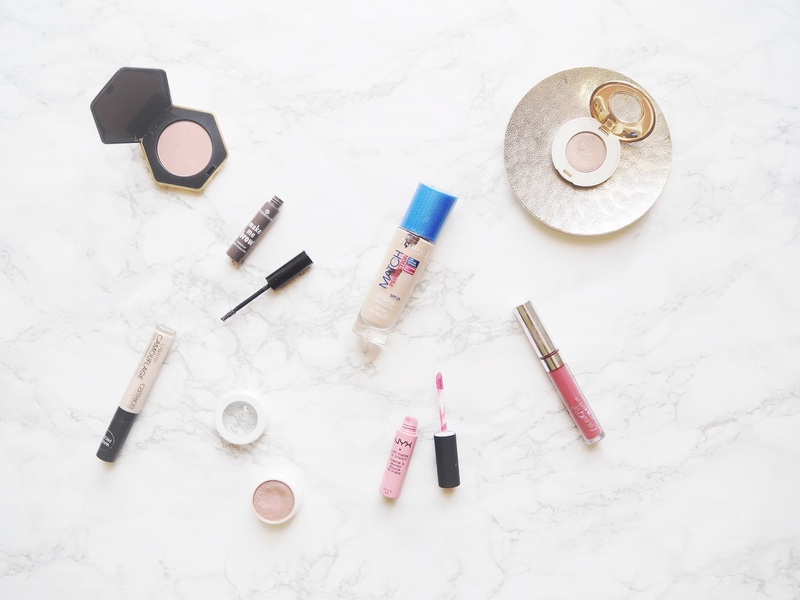 I have so many drugstore bits that I love and use pretty much every day. Today I thought I'd round up eight of my beauty picks for under £8 and give you a few mini reviews of the products as I go! H&M Powder Blush in Tawny Peach - I went a little crazy for the H&M Beauty range when it was first released last year. In light of that, I've acquired quite the collection of bits from said range. Of all the things I own, this is probably the one I reach for the most. The shade of this is so pretty; it's a very neutral, dusky rose shade that adds dimension to your face, without making it look like you've gone for a full on blush. A great one to pair with a bronzed up complexion too! Catrice Camouflage Concealer - I've mentioned this a fair few times around these parts now, but this is just a really great concealer to use under your eyes. The shade range isn't fab, but the colour I have is light enough to also brighten things up a bit. The longevity of this is great and it doesn't crease on me like my previous concealer favourites have! Colourpop Cosmetics Super Shock Eyeshadow in Wattles - This eyeshadow range remains one of the most impressive I've ever tried. Colourpop is now also available with wordwide shipping, hurrah! (Not entirely sure about that flat rate though!). For those of you who are willing to order from Colourpop, I highly, highly recommend giving these eyeshadows a go. The shade range is so extensive and the texture of these feels like butter. They blend amazingly and last really well as the day goes on. This shade is a really lovely one for the daytime as a wash of colour on the lids. 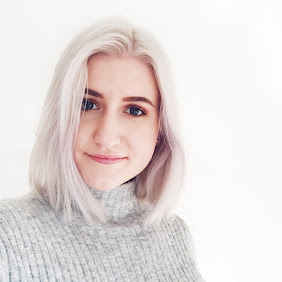 Essence Make Me Brow - I haven't heard much at all about this brow mascara in the blogosphere, but I think it deserves a mention. It's apparently akin to the Benefit Gimme Brow and also contains microfibres to make your brows look fuller and to fill in any sparse areas in them. Whilst the shade range doesn't exactly leave you with a lot of options, if you do manage to make it work for you, it's a great product. I tend to fill in my brows with a brow pencil and then fix them in place with a bit of this. H&M Powder Eye Shadow in Baci di Dama - I'm all about wearable, neutral, everyday shades that require minimal effort, and this one fits the bill very well. H&M Beauty's eyeshadow formula is buttery, pigmented and blendable and there are a whole lot of shades to choose from! This is one of my favourites to use all over the lid - nice and basic! NYX Soft Matte Lip Cream in Istanbul - Up until recently, I had a bit of a love-hate relationship with the Soft Matte Lip Creams. I just didn't really "get" them. They're not really liquid lipsticks, but they're also not glosses - they're a sort of matte hybrid that still transfers but has better longevity than other cream lip products. This isn't the type of shade I'd usually go for at all, but I swatched it, liked it and subsequently wore it for three days in a row. If you're one for non-drying, long wearing lip products, these are definitely something to try! Rimmel Match Perfection Foundation - I don't think I need to go into great detail about this, it's a favourite of many and it's been on the blog more times than I care to count. It's just a really great, cheap foundation with decent coverage that leaves your skin looking healthy and slightly dewy. For under £8, you really can't complain! Colourpop Cosmetics Ultra Matte Lip in Bumble - The Colourpop matte liquid lipsticks are by far the best and most affordable I've tried so far. Yes, they're slightly drying, but that's the price you pay for longevity! This shade is a gorgeous bright, pinky mauve shade that works well for both daytime and evening. I really don't have much like it in my lipstick collection, which really says something! I like wearing this with minimal makeup and lashings of mascara. That was a bit of a wordy one! As you can see, (and as you probably already know) there are so many great makeup products to be found at the drugstore. I know Colourpop aren't technically drugstore, but the price point most definitely is, so I threw a few bits from there in too! Do you buy drugstore makeup? What are some of your favourite affordable beauty picks? Love this! I definitely want to try the Essence Brow Gel if I can find a shade that works for me! I love posts like these! Rimmel foundations are some of my favorites! I don't get on with the Soft Matte Lip creams for some reason, the shade I have is really patchy and drying.